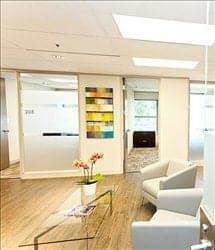 Find My Workspace lists over 95% of the serviced offices market in Vancouver. Simply click Request Quote to check pricing for one office, or Add to Basket for multiple offices. Private office with large window and a view of the city. A total 109.7 sq.ft. office available in new business center with flexible lease start date. This unit features a floor to ceiling window. Business services, restaurants, public transportation, hotels, sea wall all within walking distance. The office is partially furnished by Heritage Furniture (desk, office chair, cabinet) and includes, internet & telephone , 24/7 secure access with private alarm code, basic housekeeping and double occupancy will be considered. The monthly rent includes, multi-use Xerox machine, 20 free boardroom hours, per month, kitchen (fridge, sink, microwave, complimentary coffee, tea & filtered water) and beautiful reception area and professional administrative support. A Vancouver landmark cased in a modern glass high-rise and beautifully renovated from within. This is a high-tech building and provides valuable amenities including a large open atrium boardroom. This center provides on-demand services, easy set-ups and dedicated office space. There are small, mid and long-term rentals available. The Electra building is located at the corner of Burrard and Nelson with easy walking distance from the Financial District, Coal Harbour, West End, English Bay, Yaletown and Gastown. It is close to St. Paul’s Hospital across the street from the Robert Lee YMCA. 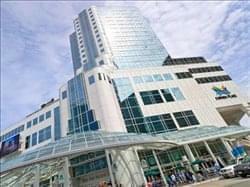 This professional business center is set within a stunning landmark installation, complete with a highly impressive and contemporary marble and glass design, which is utilized within the five story high atrium and throughout the rest of the building; making this location the region’s most attractive and prestigious corporate setting. The on-site facilities available at this center are particularly impressive also, with a wide range of office solutions on offer including serviced suites, co-working spaces and virtual office services; in addition to the state of the art provisions included as standard. This professional and exquisitely furnished business center location is situated in a contemporary marble and glass 35-storey office building, featuring a 5-storey glass atrium and stunning exterior architecture. The center offers fully furnished and equipped executive suites and open-plan office space, with amazing views of the mountains, the seaport and the beautiful and highly popular Stanley Park, as well as offering virtual office options too. There are fantastic on-site facilities offered by the business center, such as meeting rooms, a business lounge and an inclusive bar area for all occupying tenants and corporate visitors to the site. This exquisitely furnished and highly innovate, shared workspace center spans five floors of this vibrant and technologically groundbreaking lifestyle hub. This centre takes care of everything, even offering an on-site fitness center and health club, ping pong, micro-roast coffee, conference rooms and weekly inter-building social events. The building itself has a host of exceptional and premium quality amenities relating to such diverse aspects as retail, bike storage and secure parking provision all found internally and available to all occupying tenants. Try JOEY, a bar in the tower’s basement, for after-work drinks. 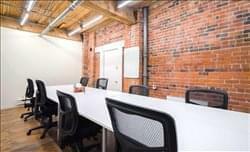 This premium business center is situated within Vancouver’s most prestigious business address and commercial district, making use of the most strategic location in the locality; set at the very apex of the city’s famous, popular and highly renowned business, cultural and entertainment triangle. Offices, conference rooms and an impressive and professional reception area are all tastefully furnished and elegantly fitted to create both a luxurious and stylish working environment that is highly conducive to productivity and constructive co-working. With both high end and state of the art facilities and a highly desirable surrounding area, this center is perfect for all office requirements. This center is located in Lonsdale Quay with stunning views of the water and close to all amenities as well as steps to the SeaBus There are 20 brand new furnished offices and main features include Wi-Fi and high-speed Internet, free executive boardroom usage and office rental (available annually, monthly and hourly). There is a friendly and professional receptionist (Monday to Friday 8:30 am to 5:00 pm), virtual office packages, including free boardroom and office use and mail and telephone answering service. A fully equipped kitchen and 24-hour access help to make the most of the waterfront views and outstanding exposure that this location provides. This new office centre has recently been completed with all new flooring, ceilings, walls and blinds. Tastefully decorated with oak trim, this is a heritage building with professional feel. Offering an executive boardroom with leather inlay conference room table, and a training room for 20 persons, that can also be great for larger meetings. Large professional offices are available with city views or river views. The friendly staff and great existing professional tenants make all the difference. Discover your new business home, with this flexible, cost-effective office space for creative-thinkers, innovative startups and fast-growing teams. This center is designed to help your business thrive in an exciting, focused environment. 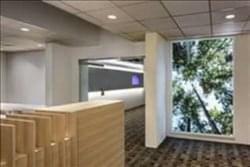 Choose a Window or Interior Office for short or long term lease. It is equipped with the latest technology, and designed with your success in mind. The units nurture thriving communities of entrepreneurs and like-minded thinkers. This center understands how quickly things can change too, which is why the prices are affordable, and contracts flexible, whether you’re scaling up or down. 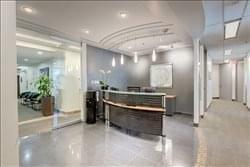 This workspace is located in the heart of Vancouver’s business district, in a class AAA building. Located on the 14th floor of this newly renovated building, this suite offers professional reception services, modern fully furnished offices, state-of-the-art equipment and fast network and Internet access all creating an environment that encourages idea generation. The center includes meeting rooms and a business lounge, great for networking with other professionals who also work within the center. The space has a bicycle storage area in the building and parking below ground and members have access to a Tennis/basketball court on the rooftop terrace. Opening November – Vibrant coworking and flexible office space in a creative working environment in the downtown core. Equipped with super fast, unlimited WiFi to ensure that your work is completed smoothly and so you can ignite new ideas. Work in a designer, tailored workspaces fit for any growing business and chat to like-minded professionals over a fresh-brewed cup of coffee to build professional relationships and networks. Plug into this space, feed off of the exciting energy curated here while kindling your entrepreneurial spirit and watch your world and business accelerate in all the ways you imagined and more. Opening November – Experience a creative and inspiring workspace in Vancouver’s Mount Pleasant community. A place to spark new ideas in Vancouver’s newest tech and arts neighborhood. Work confidently in contemporary style whether that’s in the co-working business lounge or office space tailored to your specific needs and designed to fuel innovation and creativity, that you can gain access to around the clock. Tap into the exciting energy of this vibrant neighborhood and discover new and exciting opportunities in an exciting community of entrepreneurs, while build lasting relationships and watch your world accelerate. Beautifully appointed centre ideally situated in a Class A, Leed certified building in downtown Vancouver. High-end designer look, flexible leases, reasonable prices, latest technology, excellent reputation. This centre will set you up instantly with a complete office package customized for your company. From the moment you step into the luxurious lobby, you will know that this is not your ordinary office. The centre offers you a unique environment to operate your business, with staff who really want to help, and your success as the centre’s goal. And the social networking events are just part of the great experience they are ready to offer you! This business centre enjoys prominent exposure from its position in a classic red brick and wood-beamed building on a prime northeast corner location on Helmcken and Homer in downtown Vancouver. The building lies in the trendy former warehouse/garment district of central Yaletown, which is a hotspot for businesses, including hi-tech, microbreweries, creative and game developers, as well as more traditional finance and law firms. This renovated commercial neighborhood is also home to top fashion and designers. This exquisitely furnished, highly professional and technologically powered office space provider is situated in an impressive and striking glass-fronted 20-storey office and retail tower. 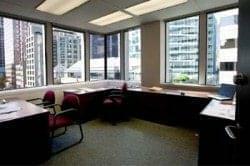 The business center itself offers a wide range of fully furnished office space solutions and executive private suites all with the recognizable and prestigious business address that this location provides commercial and professional tenants with. The center further features great on-site facilities including meeting rooms and a business lounge, great for networking with other professionals who also work within the center. 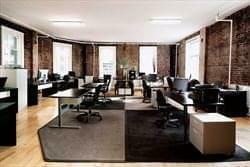 Offers 40 fully furnished offices that are sized from small one-person to large 3- and 4-person offices. With a central location, this centre caters to corporate branch and sales office tenants as well as independent professionals and entrepreneurs. The variety of office sizes facilitates convenient expansion within the centre as space requirements change. Excellent telephone answering and administrative support and state-of-the-art phone system attracts the home-based entrepreneur requiring personalized and flexible virtual office services. 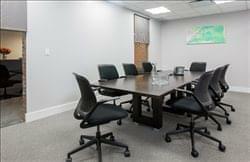 Amenities include a boardroom seating 10–12 and a lunchroom. This executive and highly professional business center location has a range of newly renovated and exquisitely furnished luxury office suites available at some of the most competitive and great value rates in the area, perfect for any size or type of corporate requirement. Furnished offices complete with spacious meeting rooms, kitchenettes available in the building and a large number of secure, long-stay parking spaces for occupants and visitors to the site. The workspace solution packages available here feature some of the region’s very best corporate facilities and state of the art technological equipment as standard. Simple, relaxed and clean design typifies the loft feel of the space, away from the corporate boxes offered by the usual ‘packaged’ offices. This centre provides various options to meet different working styles, from private offices to a shared work space, meeting rooms, as well as a lounge area ideal for networking. 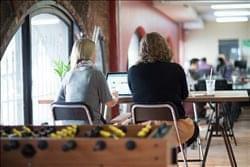 The goal is to provide a calm inspiring work space where people can connect, create and collaborate on new opportunities. Dedicated meeting spaces include A/V gear and unexpected details like custom wallpaper and marble tables. From workshops to thought-leader panels and cheese tastings, our programming helps you nurture a strong team culture. Stay caffeinated throughout the day with an infinite stream of freshly roasted coffee and fruit water poured fresh daily. This center has a specific interest in blockchain startups in technology for startup/freelancers. Some of the key features include the option to have 24-hour access to the building making it convenient for you. This center is very start-up friendly giving you the chance to collaborate with like-minded individuals. There is high speed internet, which is a must have for technology gurus. Utilize the meeting rooms for projects and/or team collaboration. Enjoy the quality, contemporary furniture. Take advantage of the this center and all of its amenities meeting your business needs. Stop in today and find out if its a fit for you. This center offers professional, full-service shared executive office space rentals and solutions, with flexible lease terms in a modern West Coast style setting conveniently located only minutes from downtown Vancouver. Bright skylit hallways with unique LED picture boxes featuring local photographs create a professional yet calming atmosphere in our shared office space. Our newly renovated common areas will impress your clients the minute they step off the elevator. Our all-inclusive pricing offers you all the essential services at a fixed monthly rate so you can focus on what’s really important – your business. This is a fully serviced, exquisitely furnished and highly innovative corporate business center with a contemporary and prestigious image; offering 62 offices, two spacious and comfortable boardrooms equipped with premium data projector and smart board facilities, as well as and two large and fully furnished meeting rooms. This center offers high speed and inclusive internet connections for all occupants, a same day service for telephone installation and a dedicated professional and specialist team of highly trained support staff, always on hand to provide assistance and professional services as standard. This center provides a prestigious address and high-end corporate image to companies of any size. 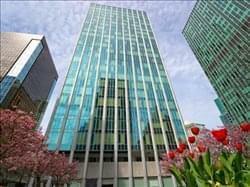 The building is regarded as one of the premier office towers within the central business district of Vancouver. The unique design and outstanding quality, along with its prominent location, make it a highly sought location for many respected firms. The most distinctive features are the seven-storey high, glass-enclosed atrium and the ‘Broken Column’ Pendulum Sculpture. The atrium serves as a grand entrance to the office tower, a public art exhibition gallery and a peaceful place to sit, meet and relax amid plants and trees. A stylish and modern centre providing a host of facilities and services such as professional reception services, modern fully furnished offices, state-of-the-art equipment and fast network and Internet access. 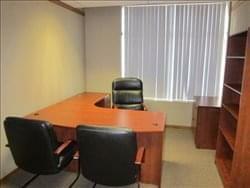 This location offers professional and fully equipped offices and office services. Choose from a variety of options for customization including team rooms, offices, part-time offices and virtual offices. The recently renovated space features a professional reception area, a fully stocked and managed Internet café, a fully equipped copy centre, professional meeting rooms and on-site IT and administrative support. Enjoy stunning views of the North Shore, Stanley Park, Coal Harbour and the Georgia Strait. These offices occupy the entire 21st floor of a fantastic building, featuring 360 degree views of the breathtaking Vancouver skyline. The center features exposed concrete floors, floor to ceiling glass, privacy screening, user controlled combination sit/stand desks, ergonomic chairs and reclaimed wood design elements which were sourced and created by a local Vancouver artist. This space comes equipped with furniture and file storage, plus amenities including; unlimited coffee, fast and secure internet, printing and scanning facilities, lounge areas for relaxing, plus available meeting rooms. Here prospective clients will get support and amplify the social impact sector by providing the social cohesion, human capital and resources that enable all tenants, members and partners to thrive in a vibrant co-working environment that is highly conducive to productivity. Vancouver’s change-makers need to have an inclusive culture of collaboration along with accessible support services and specialist working support teams in place. You’ll make this happen by using the powerful tool of shared space to work, host corporate events and commercial functions, deliver programming and build community. 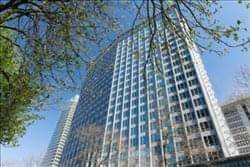 This business centre occupies a breathtaking award-winning skyscraper located at an historic address in the thriving waterfront business district of Vancouver. The sustainable building enjoys eye-catching views of the harbour and the mountains beyond. This statement address is sensitively positioned on the heritage site of the University and Quadra Clubs and although it has its own prestige entrance, preserves the original Spanish Renaissance style facade. The building includes a spacious and airy interior lobby with huge glass panels and attractive outdoor spaces. It is close to the port, a hub for international trade, as well as software, hi-tech industries, and media companies. This exquisite office building and professional co-working space is a thriving hive of commercial activity and offers a great creative working environment, highly conducive to the burgeoning productivity of all clients. The space itself is made up of private offices and co-working shared areas, all fully furnished with a stylish modern theme. With everything you could wish for on offer, from lounge areas to games rooms as well as essentials such as meeting rooms, printing and videoconferencing facilities, why would you look anywhere else. With flexible terms tailored to fit your specific budget and requirements, this space is perfect for all savvy professionals. Whether you have a one-person company, an emerging business, or a large corporation with virtual office requirements, this business centre can help. With fully modern packaged offices, including furniture and ancillary equipment, and a minimum stay of just two months, this center allows you to take care of business while they focus on your business needs with complete administrative support in a highly professional environment. To obtain information for your selected Vancouver Serviced Offices, please tick the "Add to basket" box for each office you prefer and complete the form below. We will then send a detailed report via email.